Master thesis on IoT security are availability. Send an email with your CV and grades. 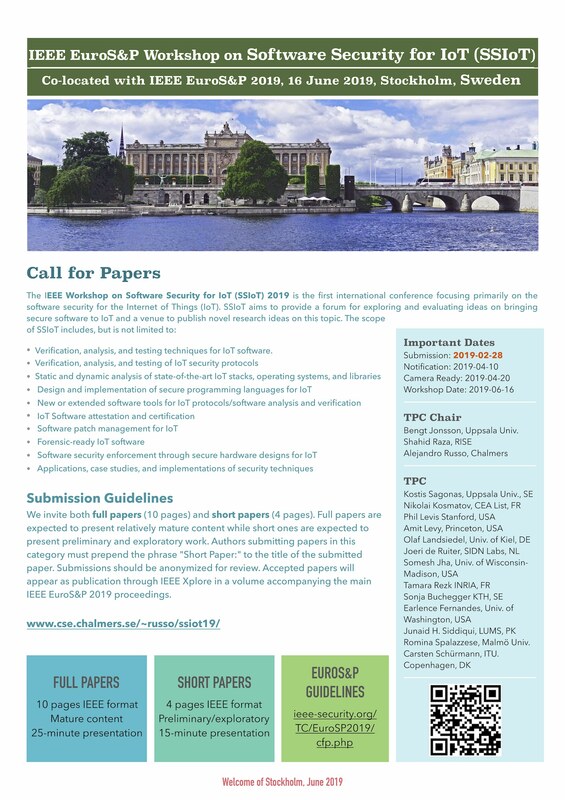 The 12th IEEE ICOSST conference 2018 [Deadline: August 31, 2018]. EWSN 2017 coming to Uppsala, Sweden. SenZations 2013: 8th Summer School on Applications of IoT and Wireless and Sensor Networks. (Registration deadline: June 25, 2013). I will be attending IETF87 meeting in Berlin from July 29 to August 2, 2013.